Isn't life crazy? The one thing I've learned is that no matter how "planned" you have your life, it will take its own twists and turns without adhering to your plans. You're just along for the ride. For example, my apartment unit has been for sale for a few months, and I've been wondering where I should live, how much I should spend, etc. But I'd been putting it off until I finished my internship (just finished that!) and secured a job making better money. My boyfriend and I started looking casually on Craigslist just to see what was out there and within a week we had signed a lease and are moving in 2 weeks! I feel like the universe has it's own path for each person and when you just let go, it'll lead you to where you need to be. So I'm going to try (emphasis on try) not to stress about finding a job, moving, starting a new chapter of my life (the grown up chapter :-/ no more college) and just let the chips fall. During one of the happiest times in my life, I adopted the motto "be like water" and I felt truly free. I just let myself go where life took me. And it lead me to the love of my life and moving to San Diego. The past couple of years have been stressful in several ways and I realized I was worrying too much and had lost faith in the cosmic forces of my life. So for the last couple of months, I've tried to stress less and have more faith. It seems to be working. I have a lot to look forward to and many positive changes have been happening. Cabo next weekend, woohoo! 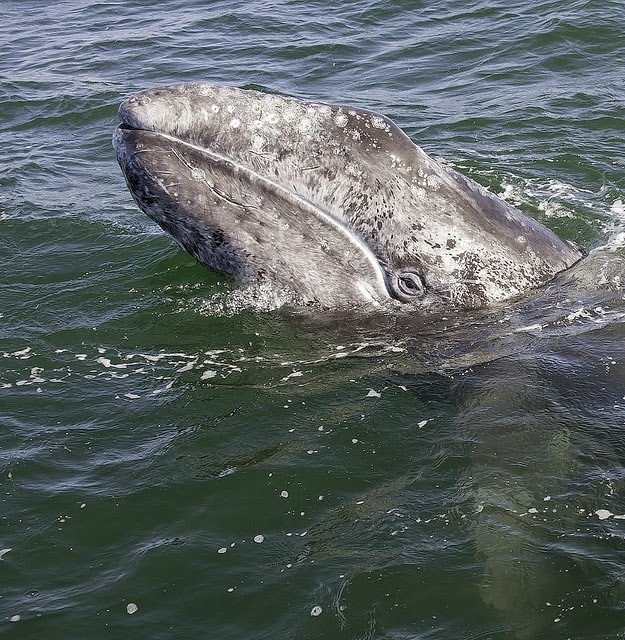 Time to party with the beautiful gray whales. Oh, and here's a tasty and clean cookie recipe for the chocoholic in you. Preheat oven to 350F. Mix all ingredients together. Form into 6 balls and flatten a bit on cookie sheet. Bake for 10-12 minutes. They will be very soft and they don't spread out like normal cookies. Let cool at least 10 minutes before eating. Enjoy!